Last week in Five Channel USB Data Logger, Part 1 we introduced the new eLabtronics USB data logger – a simple and cheap (AUD$86.90) logger than can work with up to five 0-5V inputs. It’s ideal for monitoring engine management sensors. This week, we look at some car uses. 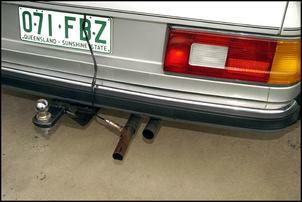 To use the logger on a car engine management system, you need access to the signals. This access can be gained at the ECU, but you’ll need to know on exactly which pin each signal is available. And, as described above, the voltage will need to fall within the 0-5V range. Most workshop manuals will show you the pins on which sensor signal voltages will be found, and better workshop manuals will show you the range of values that you can expect to see in normal car operation. Let’s take a look at some simple modified car uses. So what use is there in displaying and logging the airflow meter output? At least two spring to mind. 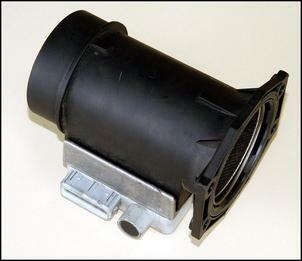 The first is that in a modified car the airflow meter might be maxing out – the airflow demand is so high that the signal reaches a ceiling and stays there, despite engine revs (and full throttle airflow) continuing to rise. 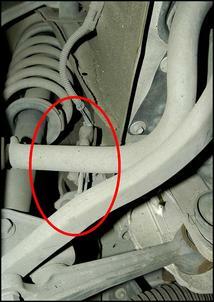 Another airflow meter logging use is to see where your performance mods are going. If the engine is breathing more air, its volumetric efficiency has been improved. And if the airflow meter hasn’t maxed out, more air will be recorded as a higher airflow meter signal output. Of course, if the fuel or ignition settings are all wrong, more air won’t mean more power, but if the engine breathing is improving, the potential for more power is there. After all, if the airflow reading is going backwards, you certainly won’t be getting more power! Note that this applies to both naturally aspirated and forced inducted cars – so you can for example see if an intercooler (or intercooler spray, etc) is actually increasing the mass of air getting into the engine. The USB logger has an input impedance of 50 meg-ohms. This means that it draws very little current from the circuit it is measuring. 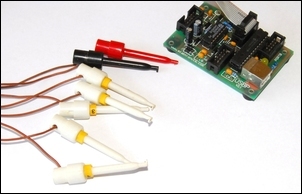 However, some oxygen sensors may still be affected by this tiny current draw, so in critical applications, use a multimeter to ensure that the oxy sensor voltage does not fall when the USB logger is connected. When measured at the ECU, pretty well all exhaust gas oxygen sensors output a voltage signal that’s in the data logger’s 0-5V range. 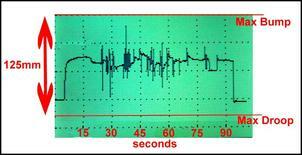 Logging of the oxy sensor can show three things. Firstly, it will indicate the health of the sensor. A narrow-band exhaust gas oxygen sensor should switch rapidly in voltage between a high level and a low level, the relative heights and depths being specific to different types of sensors. For example, the most common type of sensor will switch at least a few times a second between about 0.2V and 0.8V when in closed loop cruise. A very slow switching rate is indicative of a sick sensor, and a sensor that stays permanently high or low is near dead. The logger graph will show this switching in voltage value far better than a multimeter reading, where the numbers will just appear to be jumping all over the place! Secondly, the behaviour of the sensor will show when (or if) the car’s management system goes into open loop, characterised by a change in the up/down voltage movements to a steady voltage output. Open loop functioning is when the ECU no longer monitors the output of the oxygen sensor to set the mixtures but instead relies solely on internal maps. In open loop it’s much easier to alter the mixtures, eg by an airflow meter or MAP sensor interceptor (or even by altering fuel pressure). More and more cars are these days staying in closed loop all the time – go for a hard drive and the logging will immediately show if that’s the case. Finally, the value outputted by the sensor (yes, even a narrow band sensor) will give you an indication of the air/fuel ratio that’s being run. We’ve seen so much misinformation on this topic (eg how it’s quite impossible tune a car using a narrow band sensor) that at this point we’ll direct people to another article – see Real World Air/Fuel Ratio Tuning. Sure, a narrow band sensor (as fitted to most cars) is not ideal for tuning mixtures, but it is simply far better than trying to do it by feel alone. To measure turbo boost you’ll need to have either a car that already runs a boost pressure sensor that has sufficient range (eg the MAP sensor), or you’ll need to fit an additional sensor (eg a 2 or 3 Bar generic GM sensor). The logger can provide 5V power for the sensor (up to 20mA max), so if you’re working on different turbo cars, you can easily move it from car to car, keeping it with the logger. Measuring and logging boost on the road is a very useful tool. Turbo response, and the response of the boost control, can vary a lot between a dyno and the road. For example, the way boost ramps up in first gear will invariably be different to that which occurs when tromping it in fourth gear. Being able to clearly see both the ramping behaviour (ie the shape of the curve) and the maximum pressure is a lot more useful than just glancing at a boost gauge and seeing only a few values during a full-throttle run. In addition, you can very accurately measure boost response by simultaneously measuring the throttle position sensor output. The time taken between the accelerator being fully opened and the boost level reaching its peak can be measured with the logger down to a resolution of 1/10th of a second. Clearly we’ve only scratched the surface. In Real World Spoiler Development we trialled different front spoiler arrangements and then measured average ride height to see how effective the different designs were. We used a logging Scopemeter but the eLabtronics logger and a laptop would have given much more information, data that could have been exported to Excel or another spreadsheet and examined more closely. In Building a Human Powered Vehicle, Part 7 we logged both the output of an accelerometer and of a suspension deflection pot. This allowed the measurement of bump accelerations and suspension movements. The high sampling rate of the logger and the ability to expand and look at just small areas of the data in detail would have yielded more useful results. In fact, given that the accelerometer was a three-axis device, we could have logged accelerations in all planes! To measure physical movement (eg for suspension deflection) use this circuit with a 10 kilo-ohm pot, where the pot is moved by the suspension. 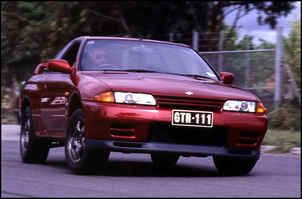 In Godzilla Tamed we developed a torque split controller for a four-wheel drive car. Being able to log the output of the accelerometers, about which little was then known, would have made it far easier to work out what was going on in the all-wheel drive system’s brain. 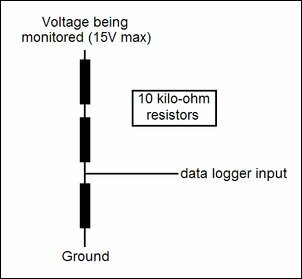 Measuring voltages higher than 5V is also easy – you just need some 10 kilo-ohm, 1 per cent tolerance resistors. Wired as shown here, the max input voltage becomes 15V, and all voltage readings displayed on the data logger should be multiplied by three. Having five logging channels available allows you to simultaneously log suspension movement on all four wheels, in turn showing pitch and roll. By adding a steering wheel potentiometer, you can show steering angle. Even simply being able to accurately record maximum roll angles will be of great use in some track cars. Five channels also lets you log, for example, airflow meter voltage, turbo boost, intake air temperature, oxygen sensor voltage and throttle position. It’s not as convenient or as simple to use as the internal logging (and data analysis!) of a MoTeC, or the logging built into a car-specific flash upgrade reprogramming software, but it’s cheaper and applicable for almost any car of the last 20 years. We think it’s a good thing!